Learning these cues can help you identify and address employee burnout before it gets too serious. I had reached my limit and it was starting to show. My work had lost its luster and I constantly felt exhausted. It had gotten to the point where I couldn't hide it anymore. It was frustrating for my boss to manage me, and it was draining my energy to report to her. It wasn't until we had an honest, simple conversation that things made a turn for the best. Employee burnout is a real problem. If left untreated, it can lead to exhaustion, anxiety and even depression. In prolonged cases, employees have reported physical symptoms such as chest pain, shortness of breath, sleep apnea, and heart palpitations. (A little more serious than you thought, huh?) However, burnout can be detected long before it gets this serious. Like other ailments, it has warning signs that if noticed and treated can reverse its symptoms. First, let's take a look at how burnout occurs. Imagine that your employees have a battery. This battery is comprised of energy which fuels your employee's engagement, capacity, and effectiveness. Each day, they start with a charged battery. Throughout the day, the activities, tasks, and responsibilities your employees partake in determine how much energy they exert. If it was a rough day, your employees deplete their batteries, leave feeling stressed out, and probably aren't too excited about getting up and doing it all over again. On a daily basis, avoiding burnout is difficult. There are going to be days when it's just unavoidable. The big issue arises when daily burnout turns into weekly, and weekly burnout turns into monthly. I once heard that for every day you're feeling burned out, it requires the same amount of time to bounce back from it. Imagine an employee who is bouncing back from months of being burned out. That's months of being actively disengaged, unproductive and ineffective. The Predictive Index (PI) is an assessment that detects an employee's battery level. Through their findings, the PI has learned that the main drain on individual's energy is being outside their comfort zone. What does this mean? Your comfort zone is when you're at your best. You're engaged, leveraging your strengths, and most importantly, confident about your work. We've all had those moments when we were "in the zone," and it felt amazing -- like we could tackle any problem. From that point on, we subconsciously/consciously seek the conditions conducive to this state of mind. It's when we're blatantly taken in the opposite direction that it depletes our batteries. Examples include public speaking, excessive detail oriented work (aka isolation), having difficult conversations, ambiguity, or relying on others timetables to advance our work. The tough thing is, each person has their own unique definition of a comfort zone. So, how can you tell if you're employee is outside their zone? Here are three signs that you're starting to burn them out. When someone's energy is gone, they lose the ability to self-govern. Simple things like concentrating, participating and being tolerant become almost impossible. If continually pushed, you'll start to see signs of frustration and irritation. It's best at this point to reschedule the meeting or pick back up on the project tomorrow. The most important thing is to understand that it's not a personal vendetta. We can all get a little testy when stress levels heighten, and we feel like we're at our wit's end. When we are burned out, it's hard to find inspiration and feel passionate about our work. That "go-getter" mentality requires more energy than we can muster up. Our job becomes an obligation and we intentionally rush through tasks waiting for the clock to strike five. Engagement drops and the effort required to produce high-quality work is spent on fighting stress and anxiety. Your employees know when their batteries are running low. Gradually, it gets harder for them to think critically, focus, and add value. Would you want to be around anyone in this state? To safeguard themselves from saying or doing something regrettable, they intentionally go MIA or radio silent. Phones go to voicemail, texts go unanswered, and meetings get canceled. The more you witness these happening, the more time your employees are spending in a destructive state of mind. Now we don't live in a fantasy world. Work is work and there are times when we must challenge ourselves. However, when the scales tip and the majority of our tasks are outside of our comfort levels, engagement plummets. The most effective managers help their employees find a balance between tasks that boost confidence and ones that uncover vulnerabilities -- the only way to create sustainable engagement and growth. Nonetheless, the onus isn't just on managers. As employees, we must also be conscious of the work/situations that drain our batteries. Having self-awareness when it comes to these conditions allows us to regulate our energy. Make sure you think twice before volunteering for projects or taking on additional responsibilities. Your sanity is worth it. Okay, you now know the cues of burnout. Now what? Nine times out of ten, a simple conversation solves the issue. I know because I had this conversation with my manager. We had two entirely opposite work styles and it was causing a breakdown in communication. After investigating, we discovered ways to adjust our methods and ration our batteries to accommodate each other's style. Communication improved, my engagement increased, and we became a more effective team. I know what you're thinking, what about the other ten percent? Sometimes that work, or environment, is unavoidable. It's a requirement of the job, or there is a stubborn manager/employee who won't change. In these cases, I would recommend that a mediator gets involved (HR) or considerations are made to place the employee in a setting more complimentary to their strengths. Once you identify that burnout is present, work with your employees/manager to discover the source. It might be a single project, additional stress at home, or a simple work style difference that is causing fatigue. 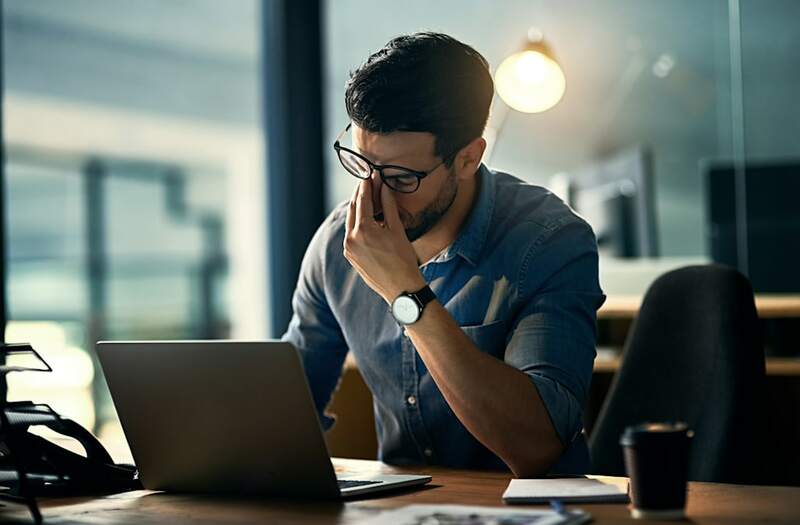 In most scenarios, burnout can be subdued by letting your employees express their frustrations and ensuring they have a balance between comfortable and uncomfortable work situations.